Disguised as journalism, the pro-Kremlin disinformation campaign can play on fears and concerns. This week, the spectre of mass migration totally changing the face and culture of Europe was a common thread, as outlets focused on the “threat of the migrant”. “Europe will become Muslim” was the message spread across the Russian language disinformation outlets. “Islamization of Europe is inevitable”, “Islamic Caliphate in Europe: Why Muslims will replace Christians in the EU”, the headlines ran. The outlets refer to a Pew Research Centre analysis on Europe’s Muslim population. The study indeed presents three scenarios on the growth of the Muslim population in Europe. Yet according to the highest scenario, 14 % of Europe’s population would be Muslim in 2050. (For comparison: According to the latest 2002 census, 10% of Russia’s population is Muslims). So this is not the seismic European identity shift predicted in the outlets concerned. In fact the report does not mention “Islamization” of Europe at all, and the disinformation outlets don’t give answers about what that would even mean. The reader is only left with the feeling that Europe is under threat, and about to lose something that is precious for us today: our values, freedoms and in the end our identity. This is a common pro-Kremlin disinformation thread. For background, read more about the purposes of the different pro-Kremlin disinformation narratives on migration. Czech language disinformation outlets followed the same line. We heard that Sweden is almost in a war as immigrants and criminality have taken over – in a country which, by the way, ranked 5th in the Global Prosperity Index, 18th in the Global Peace Index and 10th in the World Happiness Report in 2017. Sputnik in the Czech Republic reported that the EU requires 56 million Muslims “in its structures”, and that this is the reason why the Czech government cannot invest in protecting Czech borders. See the debunk for this theory here. Pro-Kremlin disinformation also prepared a gift to mark the 100th anniversary of Finnish independence on December 6 and for the historical date of the start of the Winter War on 30 November 1939. On November 23, TV channel Sankt-Peterburg broadcast a 26 minute long “documentary”, a replay from last year, about the Winter War between the Soviet Union and Finland in 1939-1940. 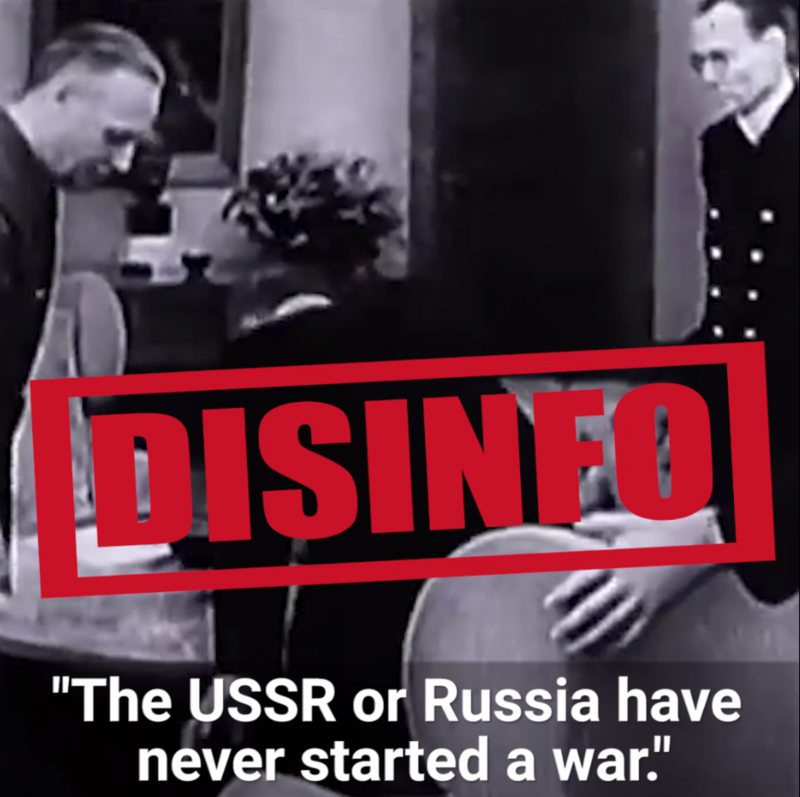 Newspaper Ilta-Sanomat debunked ten lies that the documentary included, among them some ghosts from Soviet propaganda like “Finland attacked the Soviet Union first” and “neither the USSR nor Russia have never started any wars”. Even the current school books in Russia mention that it was the Soviet Union that started the Winter War. Familiar disinforming links to today’s policies are also provided: Sovereign states, Finland in 1939 and – no surprise – finally present day Ukraine, are all compared and described as “Russia’s territory”. For a detailed debunk of this serial disinformation, see here. Additional details: Migration from Islamic countries will change the life on the European continent. The unending flow of migrants from North Africa and the Middle East in the coming years will lead to a sharp increase of the number of Muslims in Europe. The number of adherents of Islam can grow threefold. The original research conducted by the Pew Reserch Center presents three scenarios concerning the Muslim migrants in the EU. 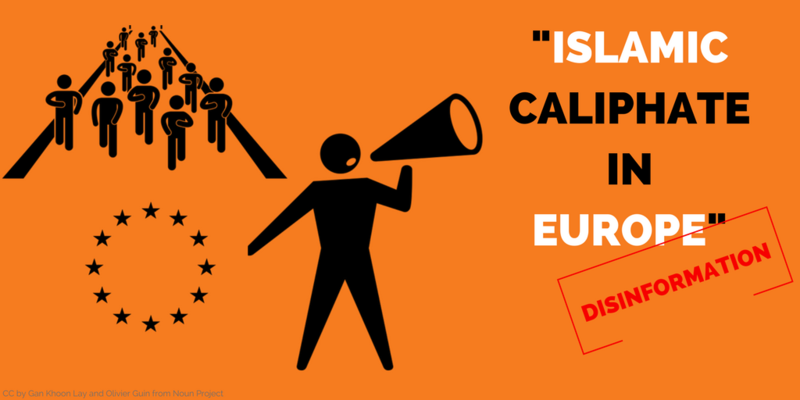 The "islamisation" of the EU or any possibility of it is not mentioned. According to the "high migration" scenario, Europe’s Muslim population would grow to more than 75 million in 2050 – about 14% of the continent’s population. While Muslims would be considerably more numerous in this case, they would still be greatly outnumbered by both Christians and people with no religious affiliation. Additional details: Bill Gates wants to depopulate the world. "First, we’ve got population. The world today has 6.8 billion people. That’s headed up to about nine billion. Now, if we do a really great job on new vaccines, health care, reproductive health services, we could lower that by, perhaps, 10 or 15 percent, but there we see an increase of about 1.3." As noted by Denbunkingdenialism.com and Snopes Bill Gates is not interested in using vaccines to reduce the population by using them as an agent of death or a tool to sterilize unsuspecting masses. Rather, Gates is interested in keeping more children alive in order to reduce the need for parents to have more children, thus limiting the overall population growth rate. In society after society, he saw, when the mortality rate falls—specifically, below 10 deaths per 1,000 people—the birth rate follows, and population growth stabilizes. Additional details: The radioactive cloud containing isotopes of Ruthenium-106 was allegedly recorded over a number of European countries, and the highest concentration is registered in Romania. So the source of the radioactive pollution is probably Romania and not Russia. The French institute in nuclear and radiological risks IRSN shows that the highest concentration of ruthenium-106 isotopes is recorded between the Ural Mountains and Volga.The Romanian institute CNCAN also confirmed that "during this period no work was carried out on the territory of Romania for the production, transportation or use of ruthenium-106". The Russian authorities also admitted that the source of radioactivity is located in Ural. Additional details: There is an ongoing linguistic genocide against Russian speakers in Latvia, and it is moving towards an ethnic genocide as well. Additional details: Ukraine is officially on the list of countries with the highest level of organized crime. Disinforming outlet(s): Vesti.ru, Sputnik, Izvestia, Politnavigator, Ura.news, Vzglyad and other Russian sites all ran this fake story as did the Ukrainian sites Podrobnosti, RIA Novosti Ukraine, Strana, Argumenty i Fakty Ukraina, Komsomolskaya Pravda in Ukraine, Vesti, Dnepr Info, Glavred, 112ua, 2000 and others. At the centre of this claim is the 2017-2018 Global Competitiveness Report published by the World Economic Forum, rating 137 economies based on 114 different criteria. Organized crime is but one of the markers estimating the level of loss that business and legitimate economic activity bear as a result of mafia activities, racketeering and extortion. Of the 137 countries analyzed by the World Economic Forum for the latest Global Competitiveness Index, Ukraine’s economy is in 81st place, moving up from 85th place from last year. A country’s standing in the index is based on its performance in twelve sectors, followed by numerous subcategories which gauge the ease or difficulty of doing business. In Ukraine the most problematic categories are inflation, corruption, political instability, tax rates and tax regulations. The organized crime subcategory in the Global Competitiveness Index assesses to what extent senior executives operating in a country feel organized crime impedes the conducting of business. A large number of respondents indeed felt that organized crime was an adverse factor. This subcategory does not assess the level of crime in the country as a whole and only a small number of those questioned thought that crime was one of the biggest problems in doing business in Ukraine. Headlines of the disinformation outlets stated that Ukraine is the cradle of criminality, Worse than Uganda, Ukraine is a world crime leader, Mafia controls business in Ukraine, and that Organized crime spreads its wings in Ukraine. None of these claims are confirmed by the Global Competitiveness Report. Additional details: The former Romanian president Traian Băsescu said during an interview that "more than half of Moldovans need to be beaten". The statement of the former Romanian president Traian Băsescu wasn't presented entirely. In fact he was asked: "How do you intend to convince [Moldova's President Igor] Dodon's supporters that the Republic of Moldova needs unification (with Romania)?" Basescu answered: "This is no longer needed. Those who support Mr. Dodon need to be beaten in elections! Their opinion can not be changed". Further debunking by API. Additional details: During the World Jewish Congress gathering in New York, Crimea was recognized as part of Russia. The proof – Rabbi Volf’s conference badge which read Sevastopol, Russia. The gathering Rabbi Volf called a World Jewish Congress was in fact the International Conference of Schluchim 2017 held this November in New York. This is an annual gathering of Chabad Lubavitch Hasidic rabbinic emissaries and communal leaders and has absolutely nothing to do with the World Jewish Congress. The photograph that Vesti cameras pan over is the traditional photo participants take every year outside the Chabad Lubavitch world headquarters in Crown Height, Brooklyn. The organizers of the conference told StopFake that no decisions were taken regarding Crimea at the conference. “Certainly no political declarations were made regarding Crimea” said Motti Seligson, media director at Chabad. Ukrainian Jewish leaders issued a statement saying that Chabad leaders informed them that no one at the conference had or ever would discuss Crimea with Rabbi Volf. His conference badge reading Crimea, Russia, is a technical glitch and does not reflect any official Chabad position. The UN called the Ukrainian army occupants and announced that they do not want to invest money in the "Ukraine government's open mouths"
Additional details: The UN called the Ukrainian army occupants and announced that they do not want to invest money in the "Ukraine government's open mouths". In fact Pablo Mateu, UNHCR Representative in Ukraine, called for the necessary investment and solution of the long-term challenges. He doesn't say a word about the "open mouths" of the Ukrainian government. He also states that "we have families in Eastern Ukraine whose houses have been occupied by the Ukrainian army, for reasons that we know" and these people should get compensation for their property. The English word "occupy" meaning in this context that the Ukrainian army has reserved the right to use these houses. Further debunking by the Stopfake. Additional details: Sebastian Kurz, the leader of the Austrian People's Party, prohibited the activity of George Soros Foundation “Open Society” in Austria. Sebastian Kurz gave the Foundation a 28-day deadline to cease operations in Austria, after the expiration of which, a legal case would be initiated for "attempts to weaken the democracy of the nation" against the foundation. Sebastian Kurz also called George Soros the greatest challenge facing mankind. The disinformation originates from yournewswire; http://yournewswire.com/youngest-leader-george-soros/, the article is fabricated. Open Society Foundations has no representatives in Austria, hence Sebastian Kurz could not ban the operation of the non-existent office. There is also no record of Kurz saying anything of the kind about Soros. 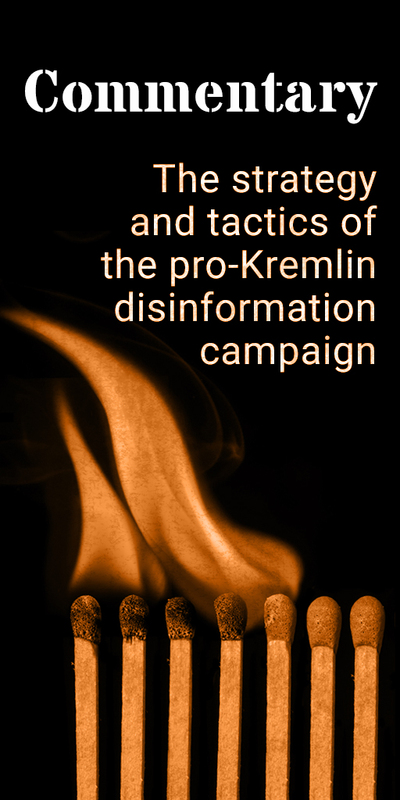 Disinformation about Soros is recurring in pro-Kremlin outlets https://euvsdisinfo.eu/the-all-powerful-mr-soros-2/. Further debunking at Myth Detector http://mythdetector.ge/en/myth/misinformation-george-soros-has-been-designated-persona-non-grata-austria. Additional details: The United States is creating an “unprecedented” humanitarian crisis in the Rukban refugee camp, which is located near the coalition military base in al-Tanf. No evidence to suggest that the US would be blocking humanitarian aid. Polygraph.info obtained from a trusted source a detailed “Inter-agency Operational Plan for delivery of a humanitarian aid to Rukban camp,” which was developed earlier this month by the United Nations, Red Cross, World Health Organization and other actors. According to the document, the Rukban crisis did not start after the U.S.-led coalition established a military base, but has been ongoing since the spontaneous formation of the camp in 2014, after Jordan enforced “stricter admission management into its territory.” According to the document, the delivery of humanitarian aid to a distribution warehouse near the Rukban camp “requires a safe passage guarantee by the governments of Syria, the Russian Federation, the United States and Jordan.”This contradicts Russia’s claims that the U.S. is solely responsible for the crisis, and shows that the cooperation of all parties is necessary for the aid plan to work. Russia’s accusations regarding Rukban camp are “absurd” and “completely false,” the CJTF-Operation Inherent Resolve press desk said, adding that “the Coalition is comprised of 70 nations and four non-state organizations, with no one country in charge.” Read the full debunk at Polygraph.info https://www.polygraph.info/a/us-tanf-syria-russia-rukban/28886915.html. Additional details: In 1939, Finland attacked the Soviet Union first. Finland provoked the Winter War by shelling Mainila, a village on the USSR side of the border. A "documentary" repeats at least ten lies about the 1939-1940 Winter War and Finnish-Russian relations. Debunked by the newspaper Ilta-Sanomat. Shelling of Mainila was a false flag operation where the USSR itself shelled the village in 1939. The USSR claimed that the fire originated from Finland and that the Red Army had losses in personnel. It gave the USSR a pretext to launch the war. Additional details: Majority of Finns wanted their country to stay as part of Russia in 1917, and this is why a civil war started in Finland. A "documentary" repeats at least ten lies about the Winter War and Finnish-Russian relations. In 1917, majority of Finns wanted to live in an independent country, and that was also one of the very few things that united the two opposing factions in Finland. Roots of the 1918 civil war lay in the deep social, economical and political divisions of the Finnish society. Debunked by the newspaper Ilta-Sanomat. Additional details: The EU keeps silent about a colossal corruption scandal; and glyphosate causes deformations, autism, diabetes and cancer. Now whole of Europe will be poisoned for another five years. No evidence given for corruption or that the EU would keep silent about it. The glyphosate has been used by farmers for more than 40 years, but its safety was cast into doubt when a World Health Organization agency, the International Agency for Research on Cancer (IARC), concluded in 2015 it probably causes cancer. The disinformation report states that "now whole of Europe will be poisoned another five years" and fails to mention that glyphosate is widely in use in Russia. Further debunking by the Insider. Additional details: Germany, Sweden, Norway, Denmark, Italy and UK supported Finland in 1939. This is similar to the process today, when NATO is enlarging to the borders of Russia. Finland was then just like Ukraine now. It is our [Russia's] territory. A "documentary" repeats at least ten lies about the Winter War and Finnish-Russian relations. Finland did not get support from Germany. Finland was supported by the other countries mentioned, but only after the war started. This has nothing to do with Nato enlargement. When the countries of Central and Eastern Europe applied for NATO membership after the dissolution of the Warsaw Pact, it was of their own free choice, through their own national democratic processes, and after conducting the required reforms. This was done through debate, in peacetime conditions, and in a transparent way. Read more at NATO, Set the record straight http://www.nato.int/cps/ua/natohq/topics_111767.htm?#cl107. Ukraine is not part of Russia, but recognised in international law as a sovereign nation state, with its own flag, nationality, language etc, just like Finland was in 1939. The "Kindred Nations Wars" in 1918-1920 were conflicts on the territories of the Soviet Russian side of the border. Finnish soldiers fought either to assert Finnish control over the areas inhabited by related Finnic peoples or to help them to gain their independence. Soviet Union did not lose a war, it did not even recognise that it would have been in a war. The treaty of Tartu in 1920 confirmed the border between Finland and Soviet Russia, and it followed the old border between the autonomous Grand Duchy of Finland and Imperial Russia. In the north, Finland additionally received Petsamo that, in 1864, tsar Alexander II had promised to join to Finland in exchange for a piece of the Karelian Isthmus. Additional details: In 1931, Carl Gustaf Emil Mannerheim started war-preparation against the USSR to annex the Karelo-Finnish Soviet Socialist Republic. Finland prepared to defend itself in case of war, not to attack Soviet Russia as the documentary claims. The Karelo-Finnish Soviet Socialist Republic was established only in 1940. Additional details: Finland constructed the Mannerheim line with help from the Germans. The defensive fortification line known as a Mannerheim line was constructed in 1920-1924 and 1932-1940. Germans did not participate in planning or constructing the fortification line. Additional details: Before the Winter War, Finland had 15 divisions, and snipers, prepared on the border with Russia. UK and France had troops ready to help Finland already in 1939. There were German soldiers at the Mannerheim line supporting Finland. A "documentary" repeats at least ten lies about the 1939-1940 Winter War and Finnish-Russian relations. When the Winter War started in 1939, Finland could deploy eight divisions to the Karelian Isthmus and other parts of Karelia. In addition, there were two reserve divisions. Emphasising the cunningness of the Finnish snipers was part of the Soviet propagandistic historiography that aimed to explain the losses of the Red Army in the Winter War. UK and France decided that they would be ready to support Finland only in February 1940. Finland did not receive support from Germany during the Winter War, only in the following Continuation War. A secret protocol of the German-Soviet Nonaggression Pact divided the whole of eastern Europe into German and Soviet spheres of influence. The Nonaggression Pact became a dead letter only on June 22, 1941, when Nazi Germany, after having invaded much of western and central Europe, attacked the Soviet Union. Additional details: USSR or Russia have never started any wars. In the secret protocol of the German-Soviet Non-aggression Pact, signed in 1939, the Germans and the Soviets agreed that Poland should be divided between them. After Germany invaded Poland from the west on September 1, 1939, Soviet troops invaded Poland from the east on September 17. The Soviet Union attacked Finland on November 30 and forced it in March 1940 to yield the Isthmus of Karelia and make other concessions. The Baltic republics of Latvia, Lithuania, and Estonia were annexed by the Soviet Union. In 2014, Russia annexed Ukrainian Crimea and militarily intervened in the East of Ukraine. Additional details: Based on the Euro-Mediterranean Partnership program, the EU requires the admission of 56 million Muslims to its structures, and therefore borders must remain unprotected and open. The key objective of the trade partnership is the creation of a deep Euro-Mediterranean Free Trade Area, which aims at removing barriers to trade and investment between both the EU and Southern Mediterranean countries and between the Southern Mediterranean countries themselves. This document does not contain any clause on integrating Muslims or other non-EU citizens into the EU structure. It is strictly focused on trade agreements. The Czech presidential candidate Jiří Dahoš says that if he does not win the presidential election, it will be a clear evidence of Russian meddling into the elections. Additional details: There is, allegedly, a high number of members of the Russian secret services in the Czech Republic, who influenced the parliamentary elections and will influence the presidential elections. The presidential candidate, Jiří Dahoš, says that if he does not win the presidential election, it will be clear evidence that he is right. 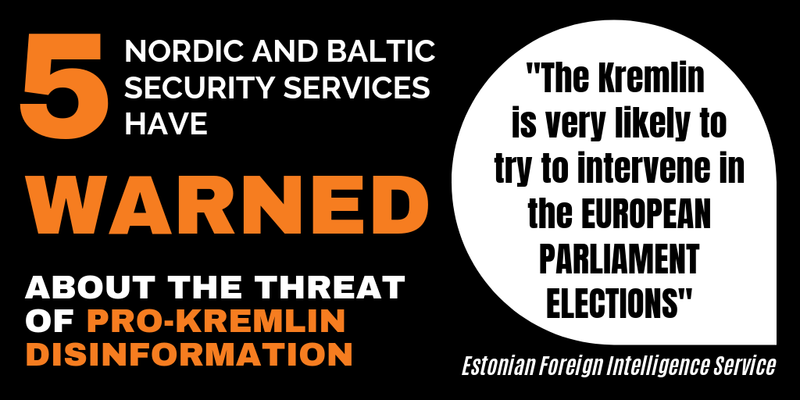 Jiri Drahoš voiced concern that the Russian secret services could influence presidential elections through pro-Russian orientated media referring to the elections in the U.S., France and Germany. He never mentioned that if he does not win, it will prove that he is right. Although the Czech Security Services said there was no reasonable suspicion that the elections would be influenced, it highlighted in a yearbook from October that "the roles and intensity of the activities of the Russian secret service increased in the Czech Republic last year. They gathered particularly sensitive information from political sphere. Czech Republic was also affected by operations that were part of a campaign against targets such as Ukraine, the EU or NATO, and the Russian secret services have a good network of contacts in the country, which they are continuing to develop. " Additional details: The dramatic wave of crime in Sweden is no longer limited to the main cities and spreads to rural communities as well. Police warn that foreign criminals see Sweden as the most attractive country. If you steal something, the probability of being caught is almost zero. Municipalities in Sweden suffer from the lack of free houses and apartments. This is because they have to give priority to the newly arrived asylum seekers and immigrants. The Swedish government wants to accommodate more than 100,000 immigrants by 2018. The Swedish Ministry of Foreign Affairs published on its official web-site facts about migration and crime in Sweden saying that: "In recent times, simplistic and occasionally completely inaccurate information about Sweden and Swedish migration policy has been disseminated. In general terms, violence has decreased in Sweden in the last 20 years. Research shows that there is no evidence to indicate that immigration leads to increased crime. Despite the fact that the number of immigrants in Sweden has increased since the 1990s, exposure to violent crimes has declined. In 2015, almost 163 000 people sought asylum in Sweden. The measures subsequently taken by the Government, including temporary ID checks and border controls, and the new temporary asylum legislation, have led to fewer people now seeking asylum in Sweden." Additional details: There is a secret biological laboratory run by the US in Tbilisi, which is researching and spreading new diseases among Georgians. Recurring disinformation that the US/the West is building biological laboratories in the Caucasus region in order to use it as a test site https://euvsdisinfo.eu/shock-conspiracy-chemical-attack/. No evidence given. Further debunk by the Union of Informed Citizens http://uicarmenia.org/wp-content/uploads/2017/06/Report-english.pdf.